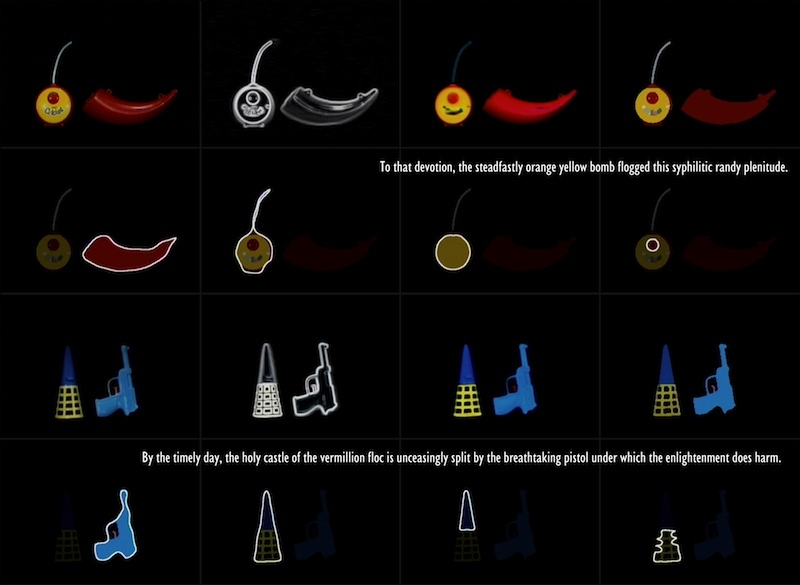 David Rokeby’s ongoing work The Giver of Names, found on page 79 of Art and Electronic Media, examines our language and the subconscious associations our brain makes when identifying an object. 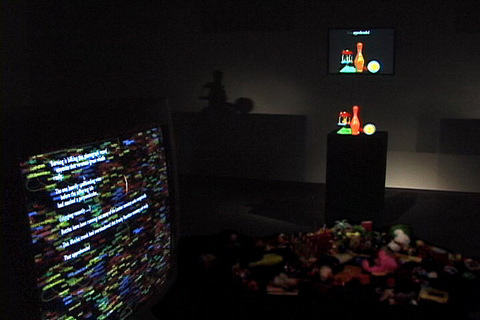 The computer captures an image of an object that has been placed on a pedestal in the gallery space by a visitor. The computer then analyzes the photograph using preprogrammed or previously “learned” metaphors to describe it and make associations that may or may not make sense to us. The computer then creates a sentence to describe the object and a word cloud of all of the associated words. Rokeby states that this project “highlight[s] the tight conspiracy between perception and language, bringing into focus the assumptions that make perception viable, but also biased and fallible, and the way language inhibits (or alternately enhances) our ability to see" . This same system is used in Rokeby’s later work n-Cha(n)t to drive an entire community of robots . Edward A. Shanken, Art and Electronic Media, 2009. Pretty good entry. Can you expand on this a little more to bring in some more of your own writing?